I use electric stoves. My tendencies to 'ON' the wrong stove often leave me oblivious of the burning heat underneath the pot or pan (that I usually place on top of the stoves) as I cannot see the physical burning fire. The resulting burnt-on stains can be a pain, especially so if the pots are in stainless steel! I use a simple method to redress. 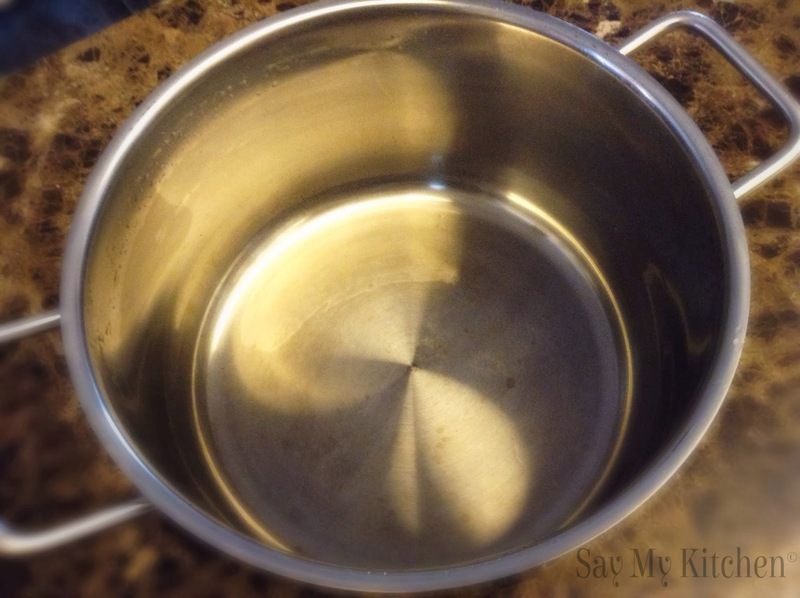 Accidental burnt stains in my stainless steel pot. This was already after many rounds of scrubbing with dish detergent, yet without noticeable improvement. 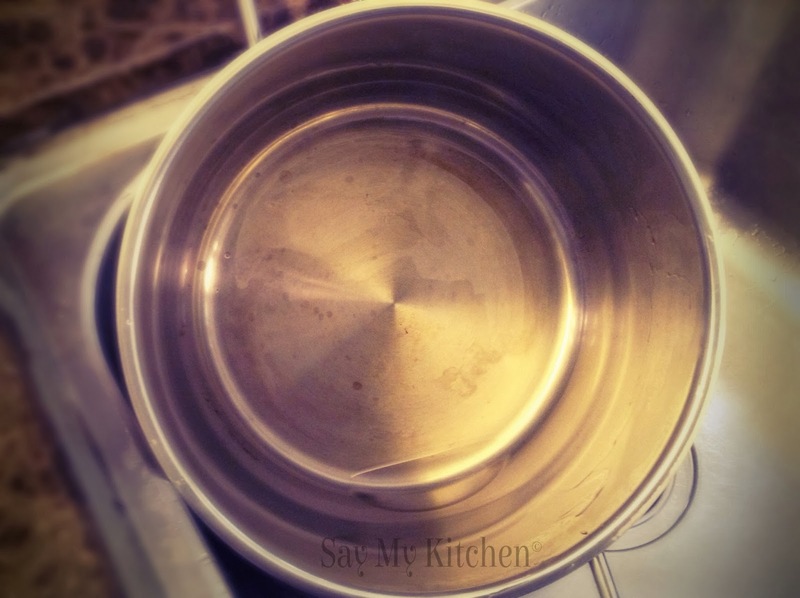 Fill the stained pot with water and boil it. 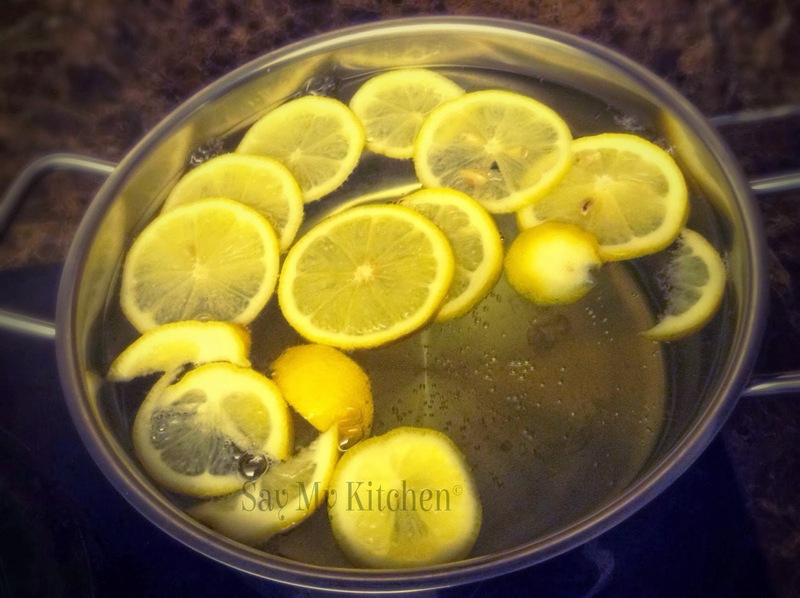 Squeeze in fresh lemon juice + add lemon slices into water and let them boil. I'll add some salt if the stains are more stubborn. 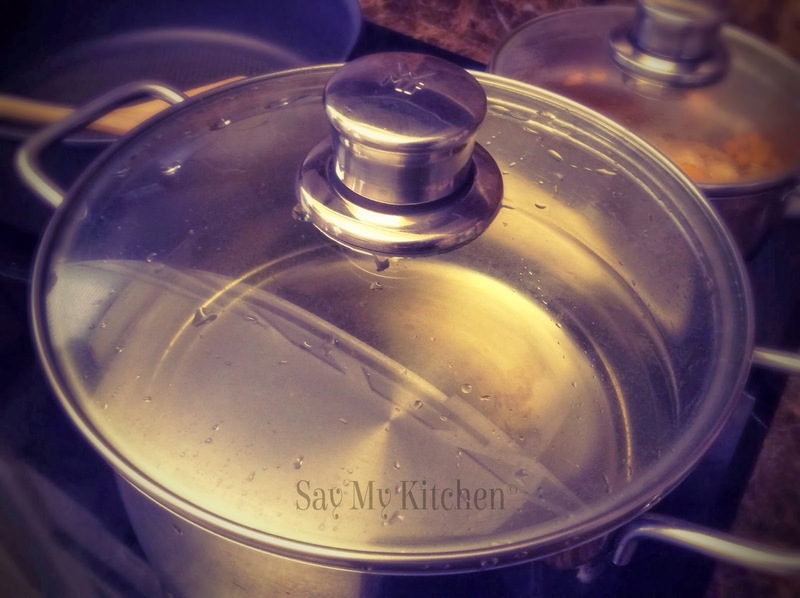 Leave everything in the pot overnight after water boils. I would not insist that this method cleans the pot perfectly, but the stains were visibly reduced after the first round. I was taught to repeat the procedure few times if I want better results. Such a simple method using natural resources. Easy. Eco-friendly. 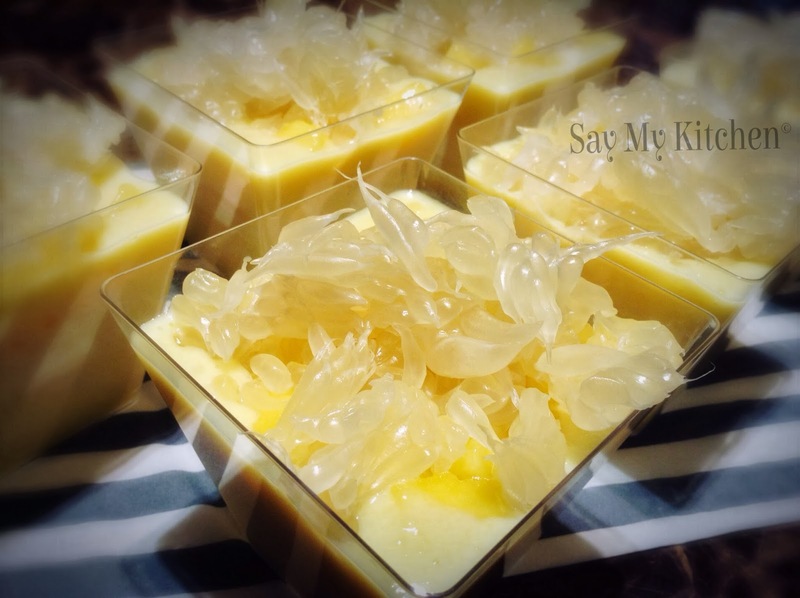 I had wanted to make my all time favourite Mango Sago Pomelo (杨枝甘露) for my family. And realised I had so much left over Pomelo flesh and pulps from Chinese New Year that I needed to exhaust before they turn too ripe. It looked overkilling to add in the sago. After much deliberation, I decided to eliminate sago from my ingredients list. 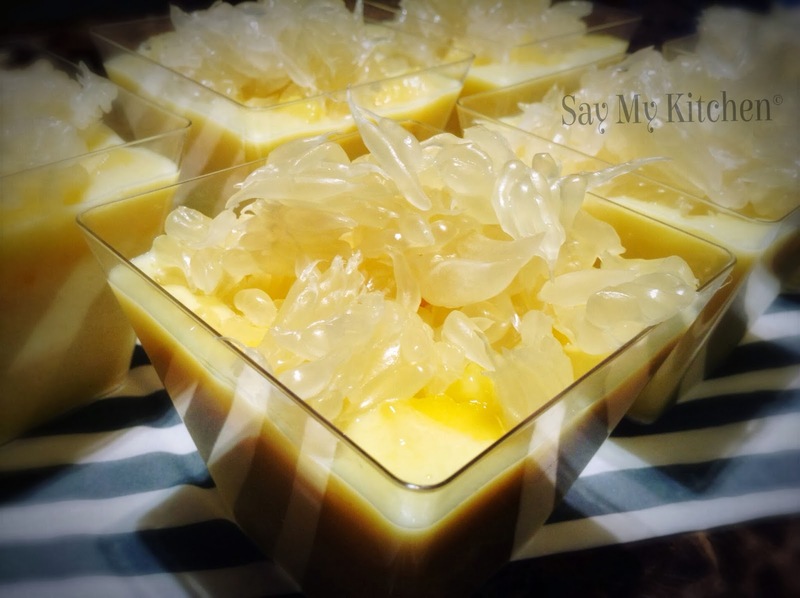 Mango Sago Pomelo is served as dessert in most Chinese restaurants here. Why? Simply, mangoes are readily available throughout the year in our tropical island! Please remember that the choice of mangoes would either make or break the dish! 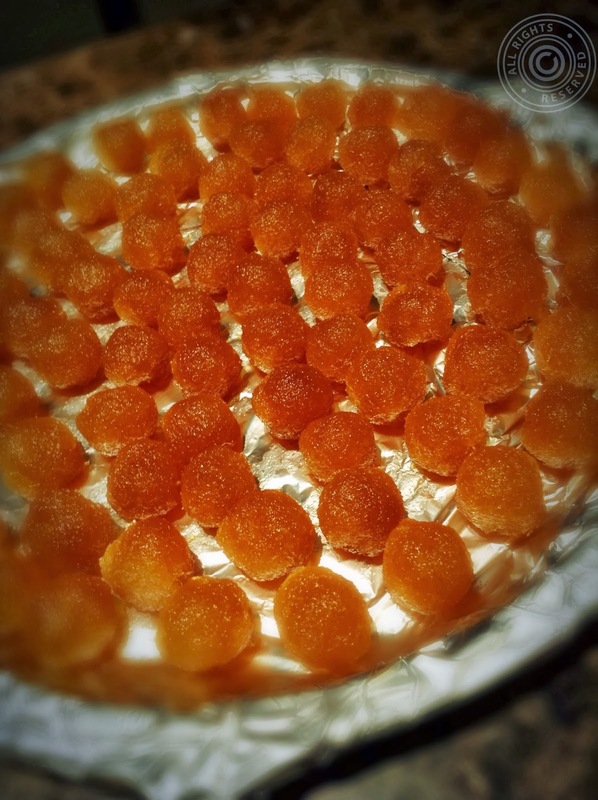 Use sour or unripe mangoes if you want sulking faces from your guests! 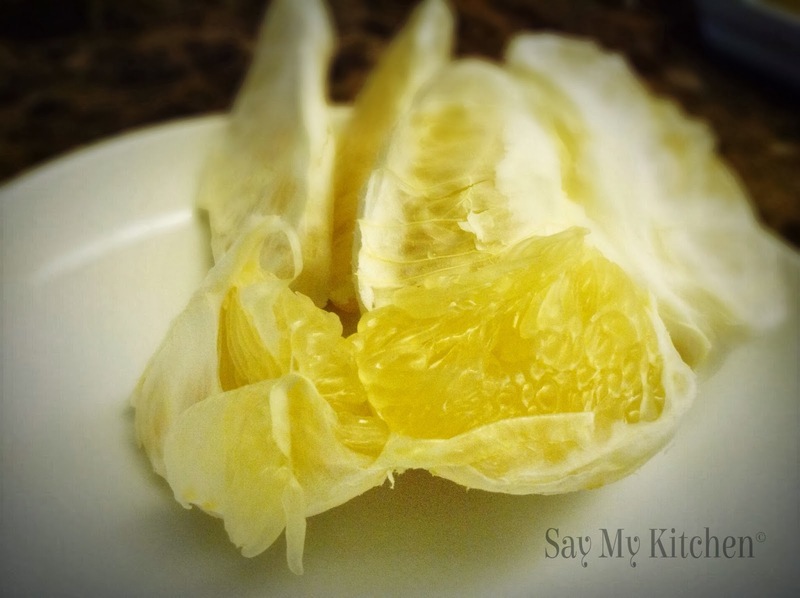 Peel and separate pulp sacs from pomelo and set aside. 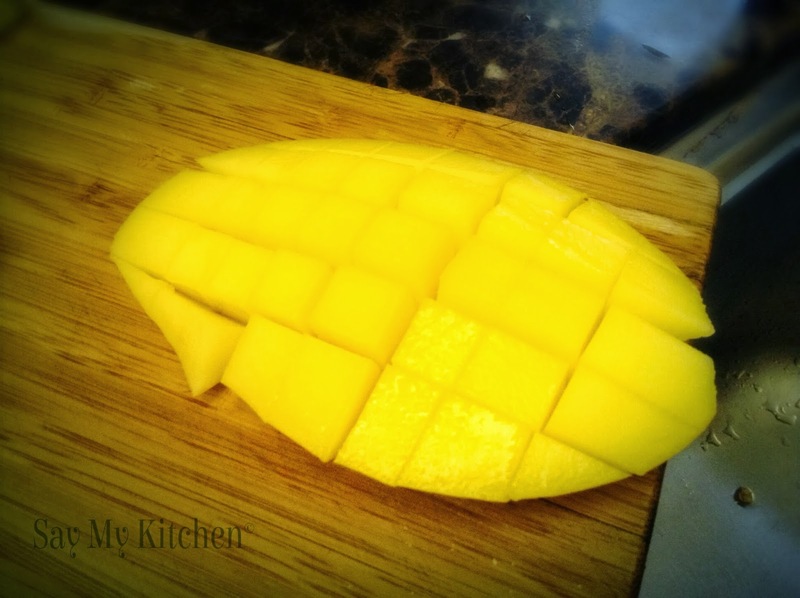 Cut 2 to 3 mangoes into cubes or dices and set aside. 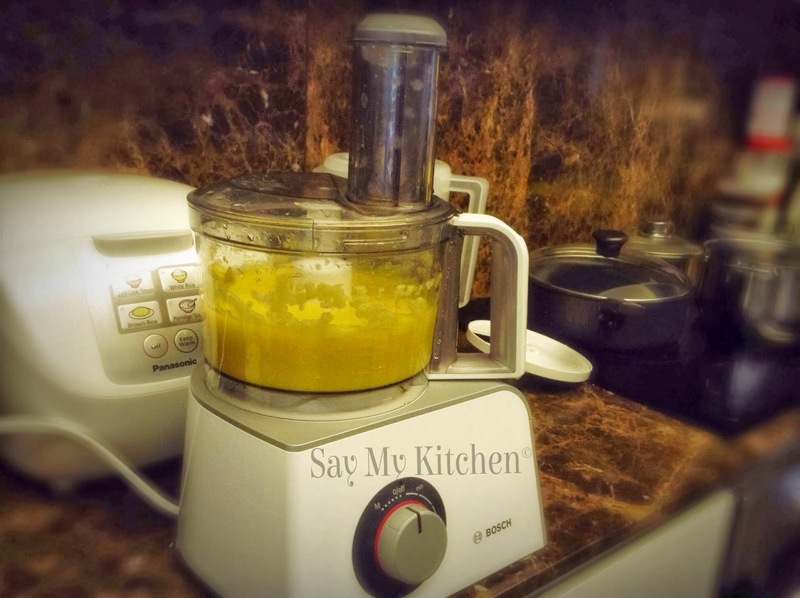 Use food processor or blender to blend the balance 3 to 4 mangoes to juice. 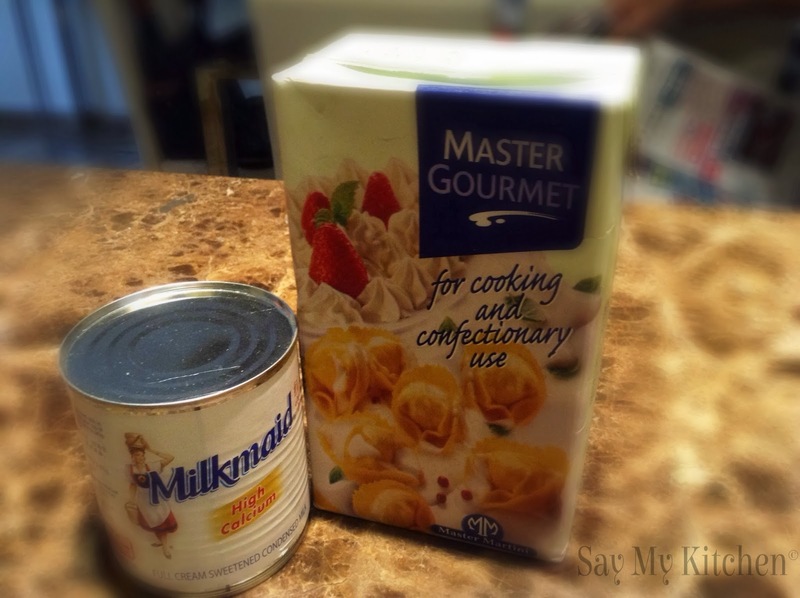 Pour in the evaporated milk and blend till well combined. Apply sugar syrup to your liking (must test/taste to check if taste is suitable). Apply salt sparingly if mixture turned out to be too sweet or too sour. Chill mixture in refrigerator for minimum 1 hour. 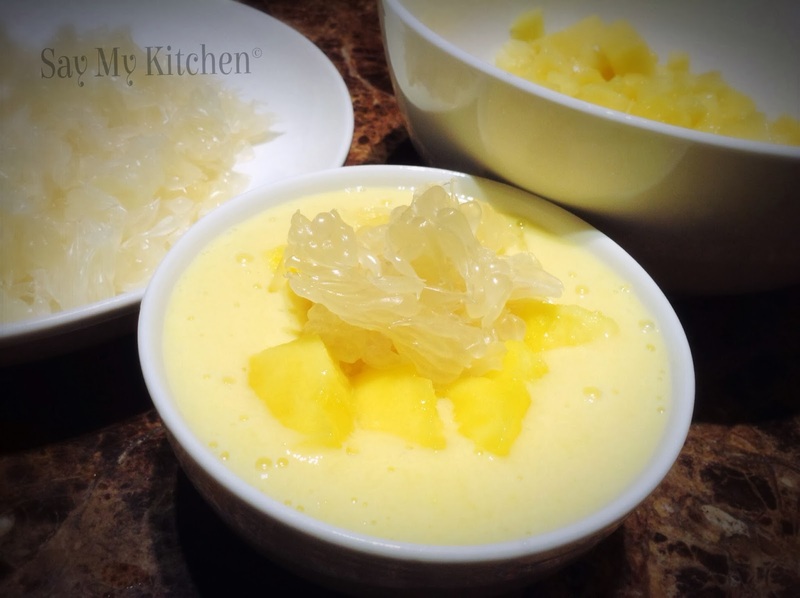 Top with mango dices/cubes and pomelo pulp sacs when served. 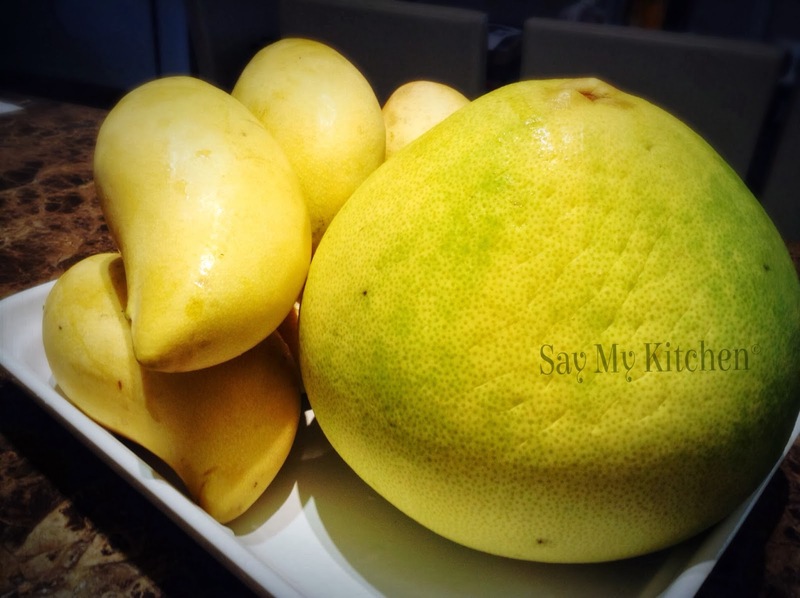 Use ripe/sweet mangoes and pomelo. Trust me. I learnt it the hard way! 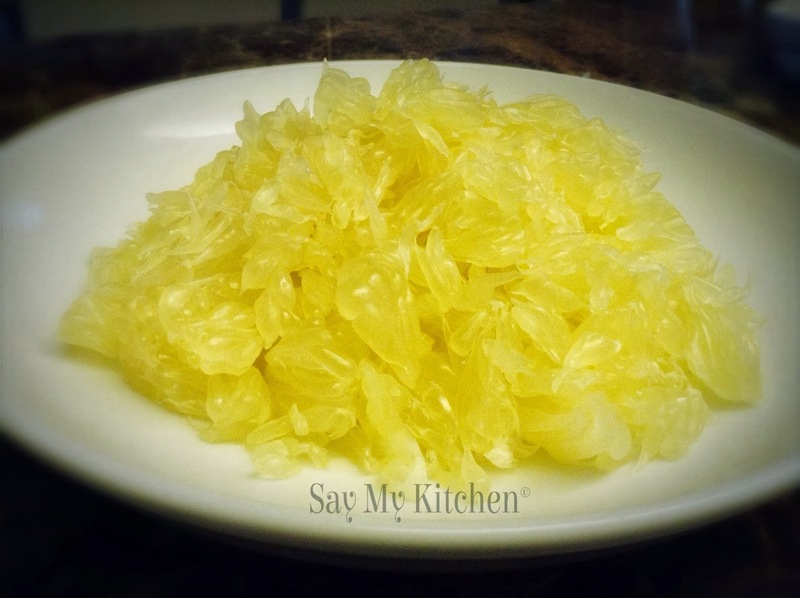 Peel and separate pulp sacs from pomelo. Dice 2 to 3 mangoes before peeling the skin. Use a spoon to scoop the dices out. Put the mango dices/cubes and pomelo pulp sacs aside. 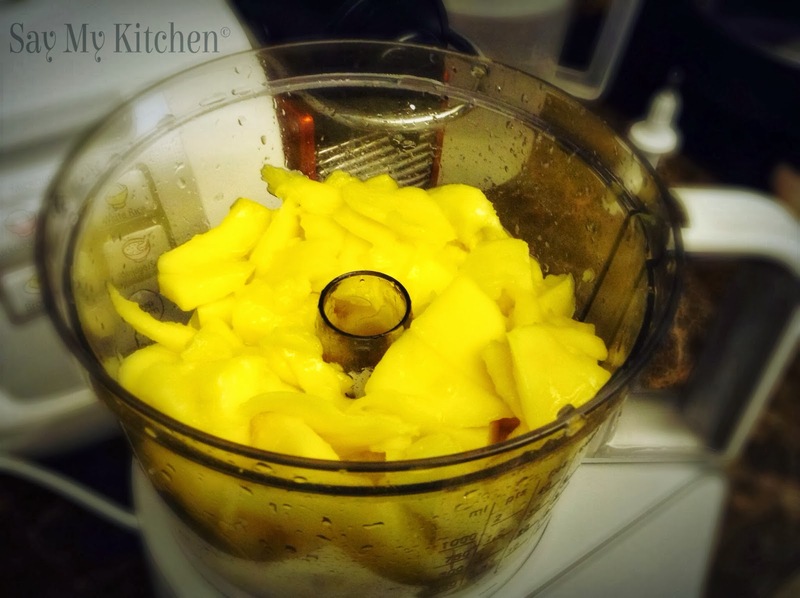 Blend the balance 3 to 4 mangoes in a food processor or blender to juice. Add evaporated milk, sugar syrup and salt accordingly. Blend till well combined. Chill in refrigerator. 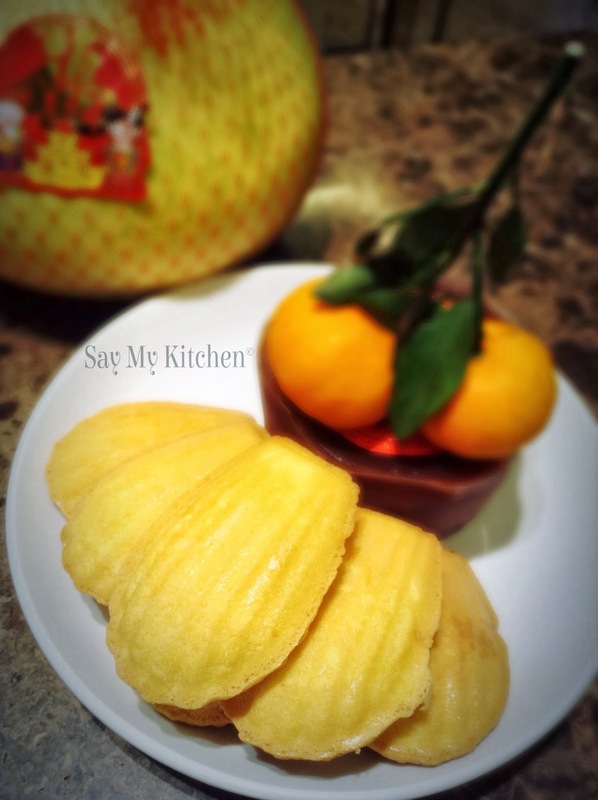 Top up mango dices/cubes and pomelo pulp sacs when served. 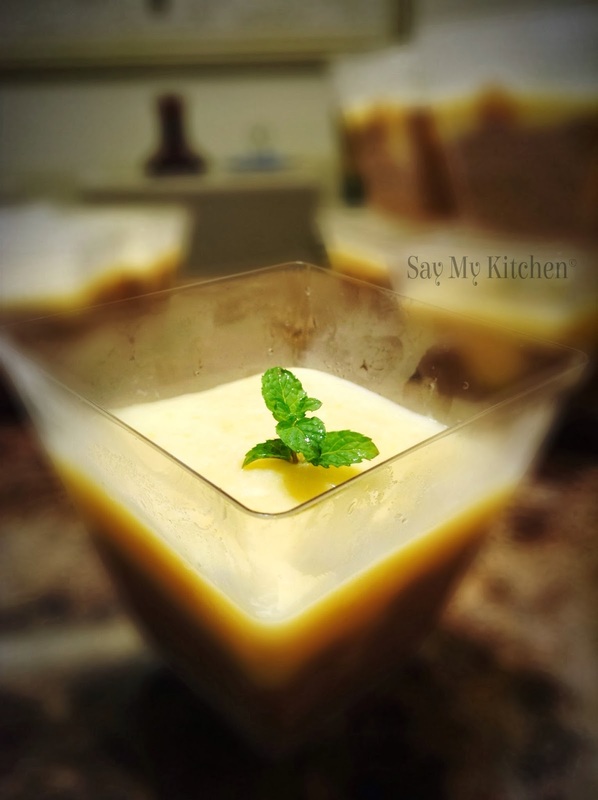 Immerse in this refreshing dessert, especially in the recent hot weather! Kuih Bahutu Photograph updated in January 2017. Baked with Kuih Bahulu tray this time. 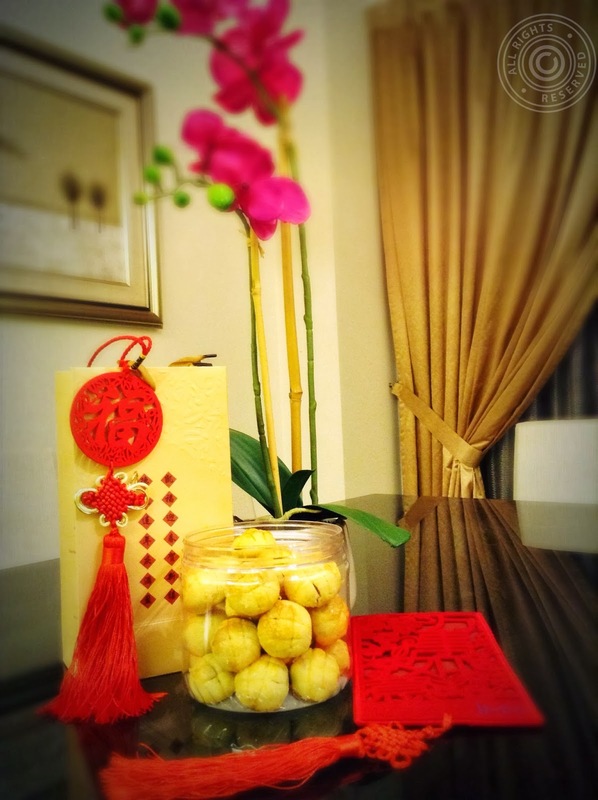 Traditional Kuih Bahulu was another Chinese New Year (CNY) goodie that I made for my family and guests. To save storage space, I decided not to buy new Kuih Bahulu trays/moulds. 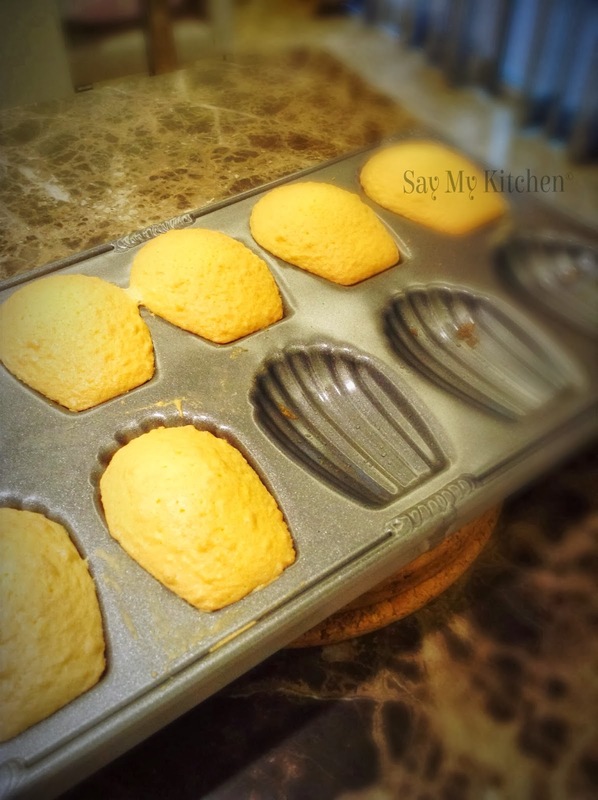 Instead, I passed off by using the French Madeleines pans. Yet another simple recipe for amateurs like me! Whisk in eggs and sugar in high speed till fluffy and soft peaks form. Fold in flour (sieved beforehand) and baking powder. Continue to whisk till well combined. Brush a layer of cooking oil or vegetable spray on moulds/pans. Fill the moulds/pans (90% full if you are using traditional Kuih Bahulu moulds and 100% full if you are using French Madeleines pans as they are too shallow). 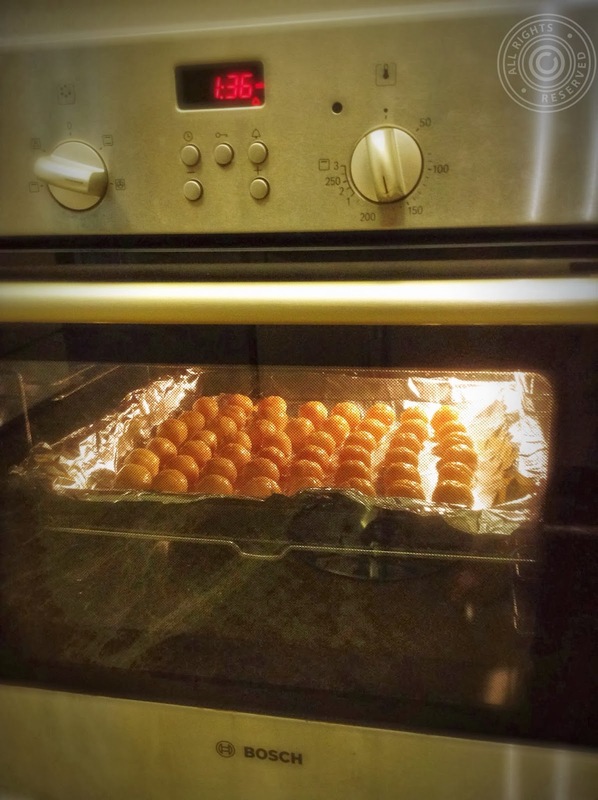 Bake in pre-heated oven for 10-15 minutes (duration differs from oven to oven). Check the readiness by piercing a toothpick or bamboo skewer into the Kuih Bahulus. They are ready if the toothpick / bamboo skewer comes out clean. Use the toothpick or bamboo skewer to remove the Kuih Bahulus from the pans when cool. Transfer to cooling tray to cool before storing into airtight containers. 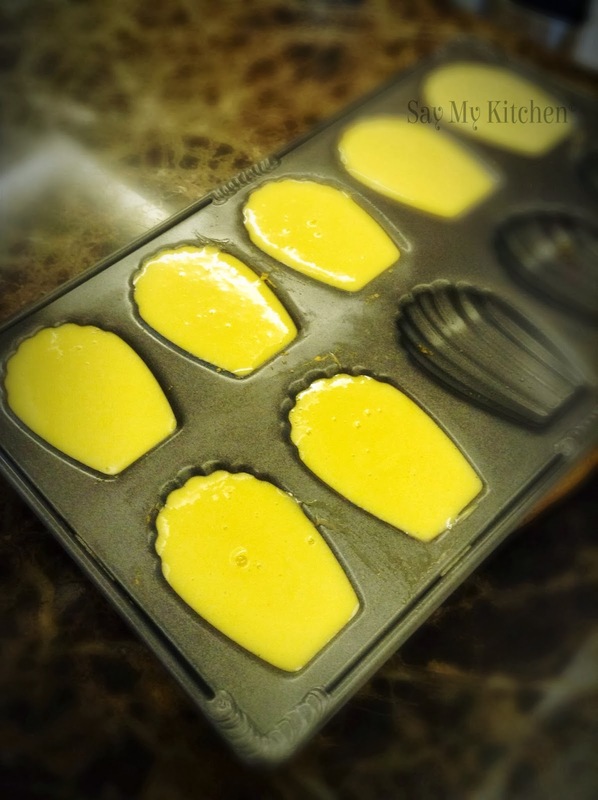 Here, I am using the French Madeleines pans instead of traditional Kuih Bahulu moulds. 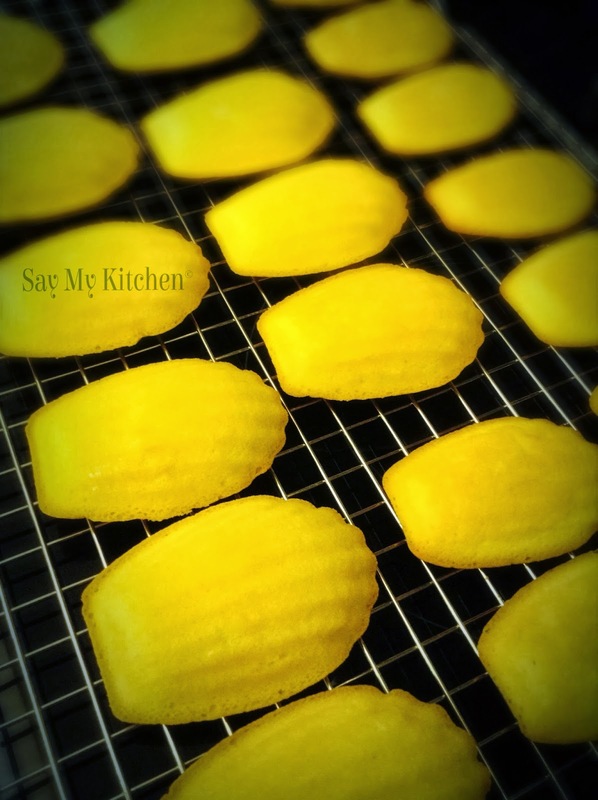 Fill till 90% full if using traditional Kuih Bahulu moulds and 100% full if using French Madeleines pans. 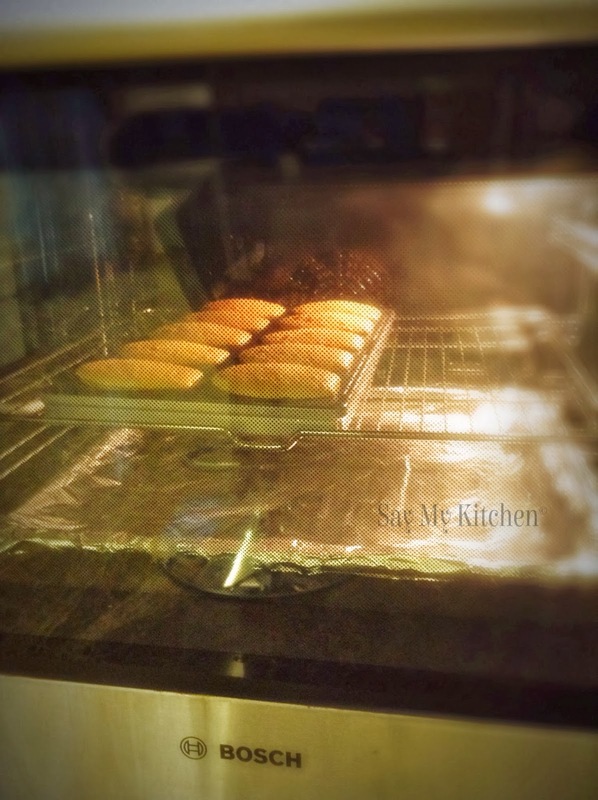 Bake in pre-heated oven (200 degree celsius) for 10-15 minutes till the Kuih Bahulu raise nicely in the pans. Test readiness by piercing a bamboo skewer into the Kuih Bahulu. Kuih Bahulus are ready if skewer comes out dry and clean. Remove Kuih Bahulus from pans with bamboo skewer. Cool Kuih Bahulus in cooling tray before storing into airtight containers. I did not over bake my Kuih Bahulus to give it a darker brown colour as I prefer my Kuih Bahulus to be more moist and soft. It's your personal choice. We have been experiencing scourging heat in Singapore for the past few weeks. It had only rained once in the last few weeks. Grass fields have turned brown and my herbs & plants are dying despite watering them 2 times a day..... Rain....Rain....please come again! Nothing beats an ice cold item to quench heat. 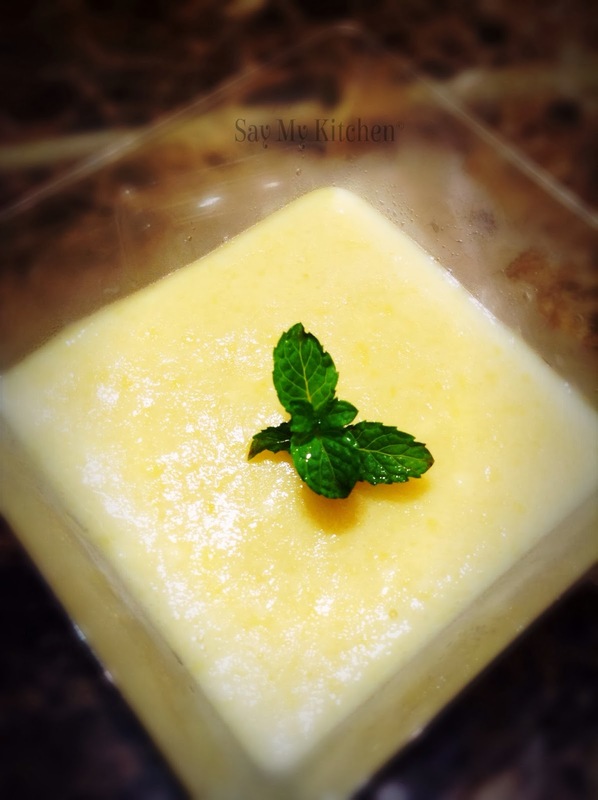 This simple home-made Mango ice-cream recipe may come handy. 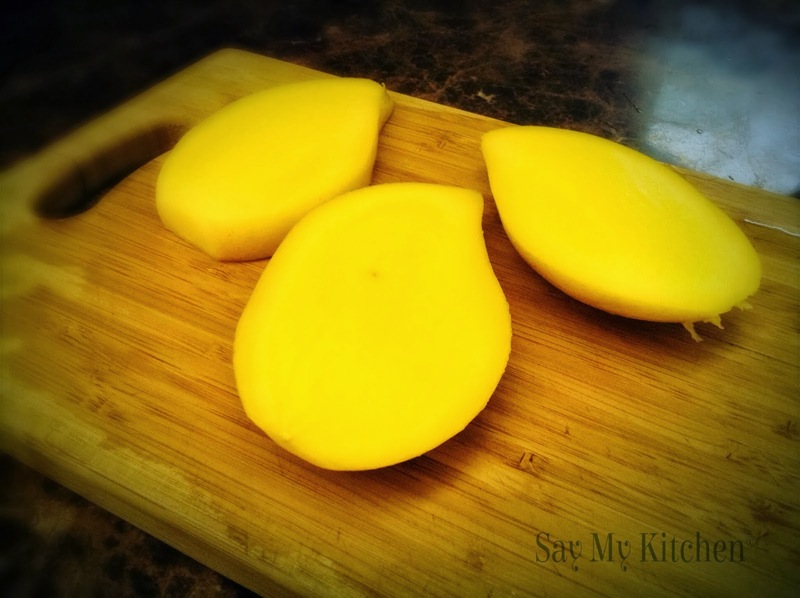 Deseed mangoes, then mash the mango flesh in a bowl. Or, you can just mash the mango flesh using a food processor like I did. That took only few seconds. Mix the condensed milk, cream, milk, salt and vanilla flavouring for 2 minutes (use medium speed). Mix in mashed mango flesh and continue mixing till well combined. 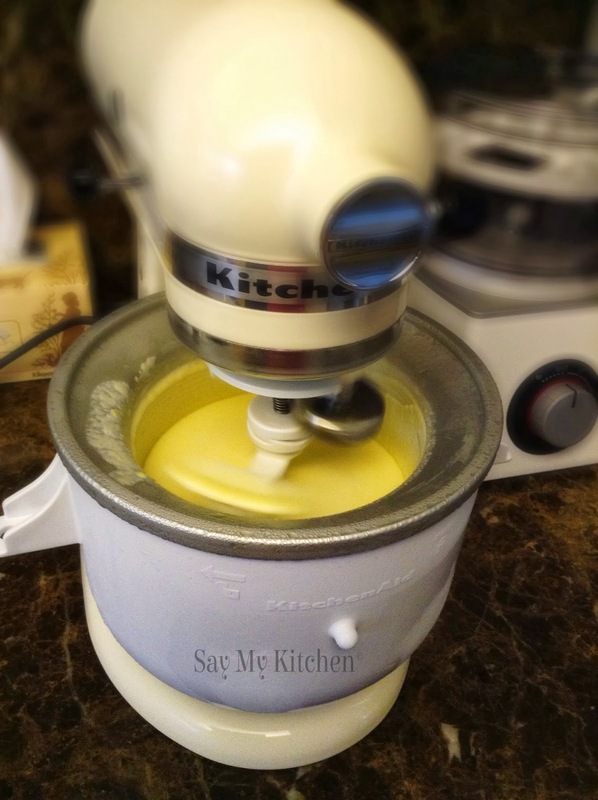 Pour everything into an ice-cream maker. Remember to freeze your ice-cream maker in the freezer one day before use. 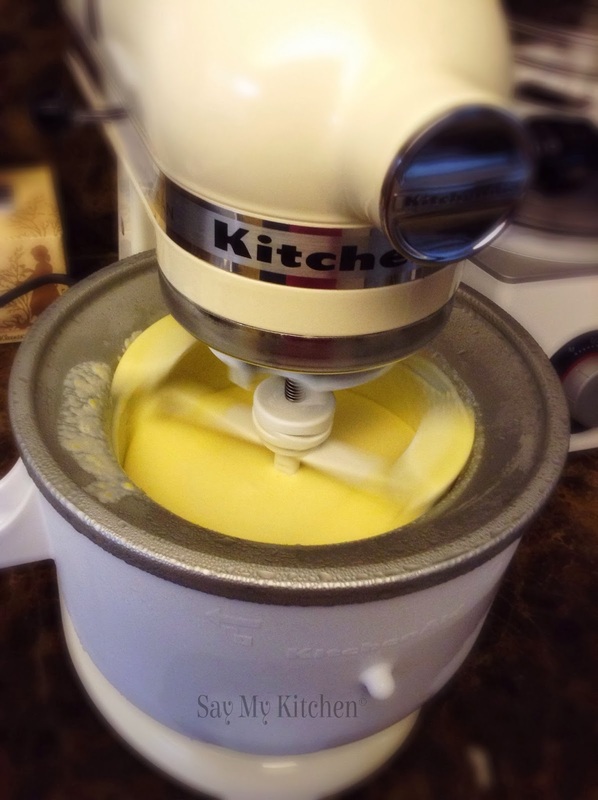 Churn the ingredients in the ice-cream maker for minimum 20 minutes. Pour ingredients into airtight container and store in freezer. At this stage, the ice-cream is still soft and can be consumed if you choose to. I prefer a harder texture, hence, I chose to freeze them first. If you do not have an ice-cream maker, freeze the mixed ingredients into an airtight container first. Then, you can use a hand mixer to blend the ice-cream after every hour of storage in the freezer for the next 4 to 5 hours. This is to prevent the ingredients from separating and the ice from crystallising in the ice-cream. Notice how the mixture thickened in the last 3 images? Simple recipe. Simply heavenly in our tropical heat! I once read a quote that says "Money will buy you a fine dog, but only love can make it wags its tail". I can't agree more! We adopted Betty 6 months ago. 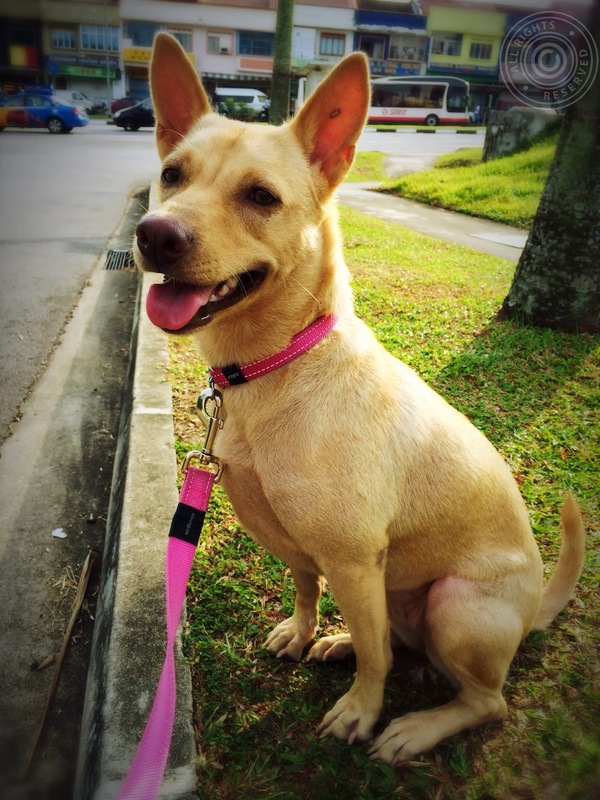 Betty was born on the streets and spent a few good years fending for herself as a stray. 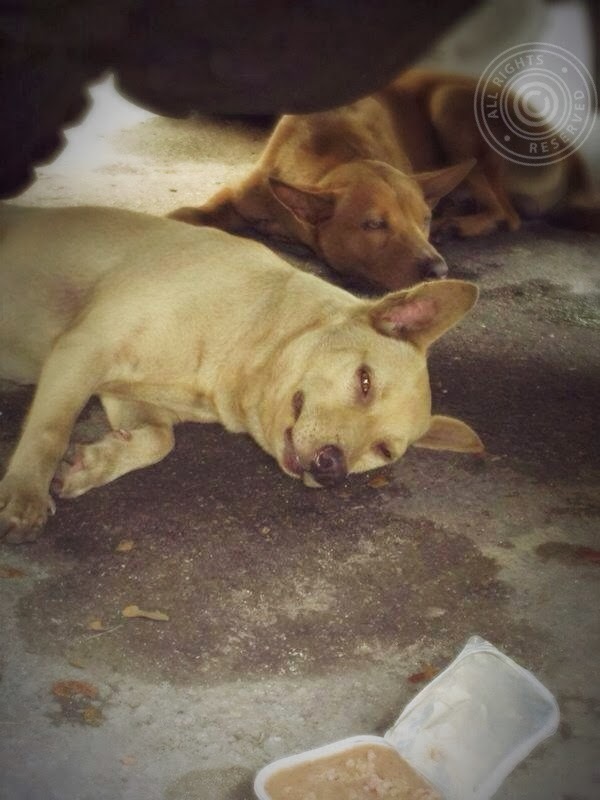 When Betty was a stray dog - she lived underneath heavy trucks and was drenched in diesel when her rescuers found her. Betty Now - The Little Princess of our family. We love her. Unconditionally. 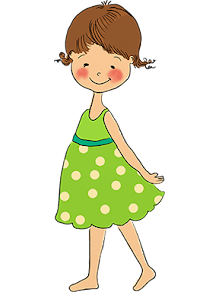 We have seen her transformation - from a shy, insecure and timid girl to one that can communicate effectively with us and trusting us. Others may not understand - that she has come a long way. Betty accidentally bit my husband's finger in a dog fight last evening. We forgive her. For she did not mean it. Whilst we solicit professional help to investigate into any possible behavioural issues that she might have brought with her as a stray, she has remained calm and stable throughout. She even appeared remorseful to my husband. It gives me heartache to see both my husband and our dog wounded at the same time. I am glad that both are healing well now. So, tonight... I have decided to make more Peanut Butter Cookies for Betty. I'll use these cookies to train and coach her in the next few days. At this stage, she needs our reassurance and reinforcements. I will do it out of love for her. 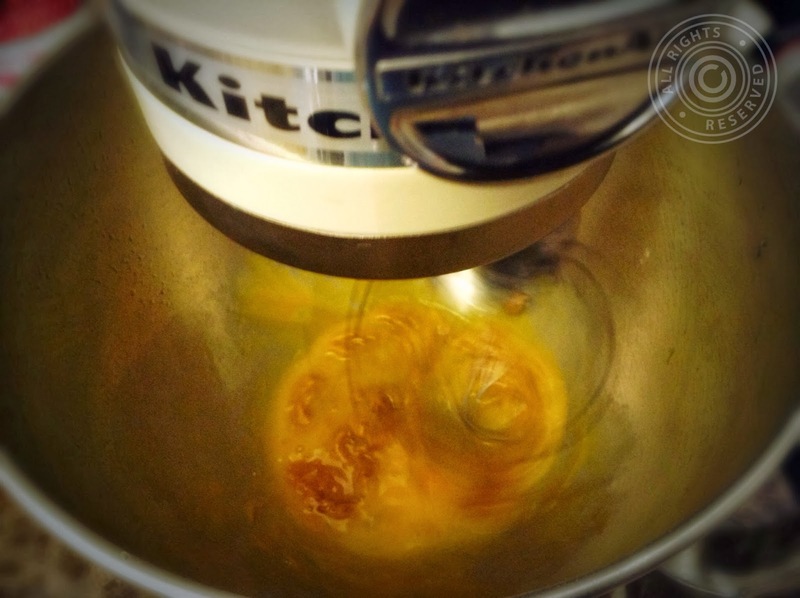 Mix the egg, peanut butter and honey and beat till well combined. Fold in flour slowly. Beat till dough is well combined. Transfer to cooling tray for cooling before storing them into airtight containers. 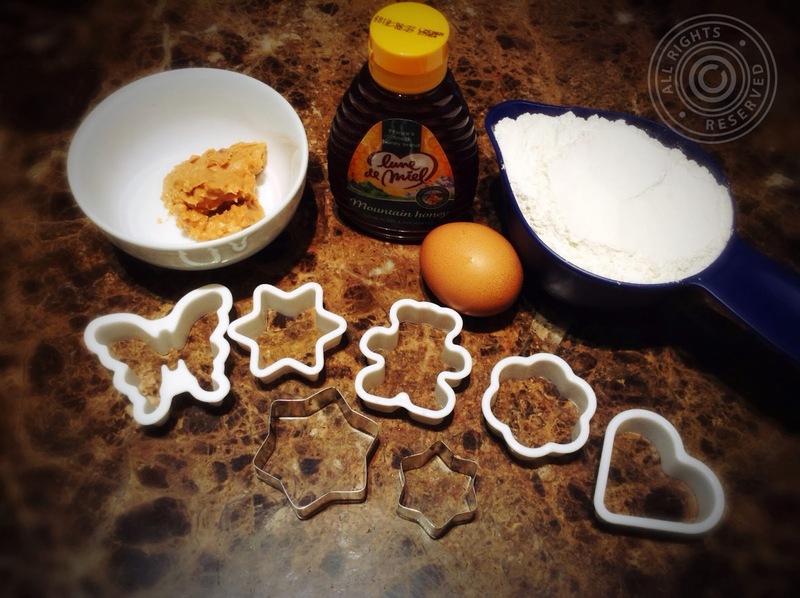 Simple ingredients and cookie cutters to begin with. Mix egg, peanut butter and honey till well combined. Fold in flour slowly and mix till well combined. 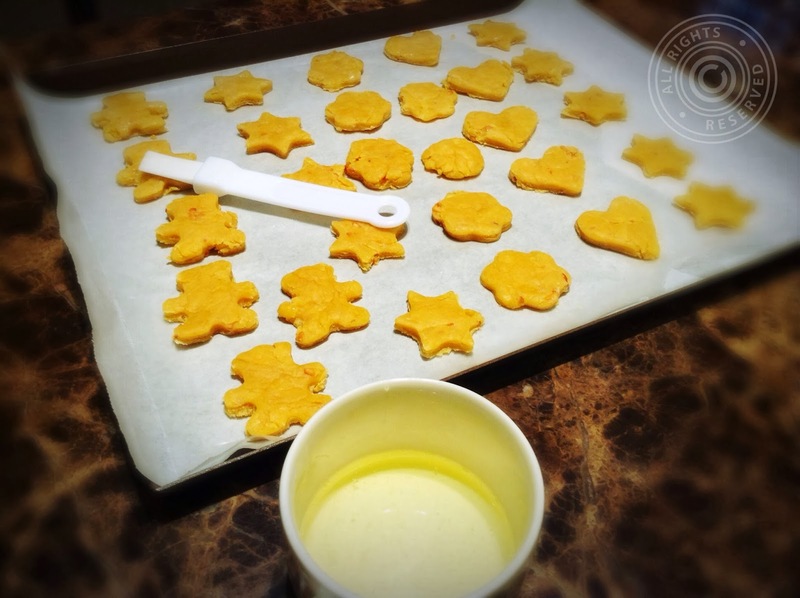 Flatten dough with rolling pin, then use cookie cutters to cut dough into various shapes. Brush cookie surface with beaten egg. Pre-heat oven to 150 degree celsius. Bake in pre-heated oven for 35 minutes. 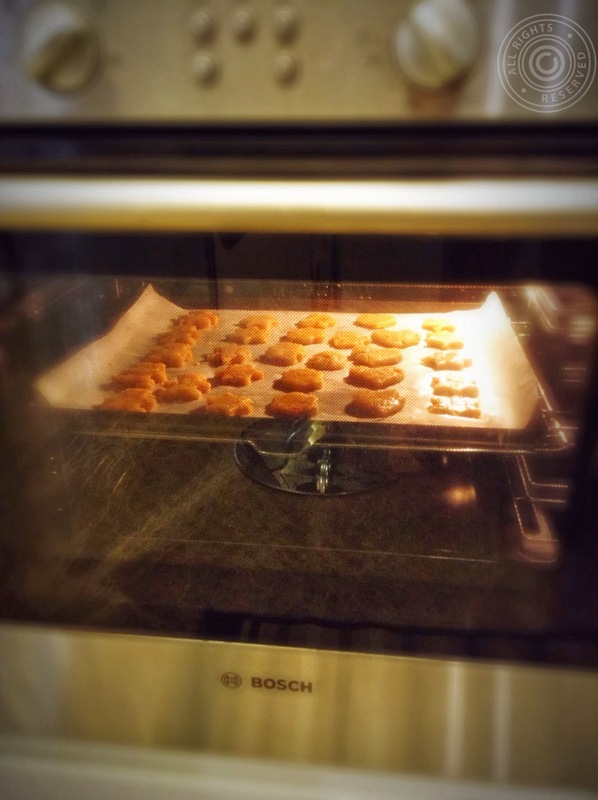 Cookies freshly baked from oven. Transfer to cooling tray before storing cookies to airtight containers. 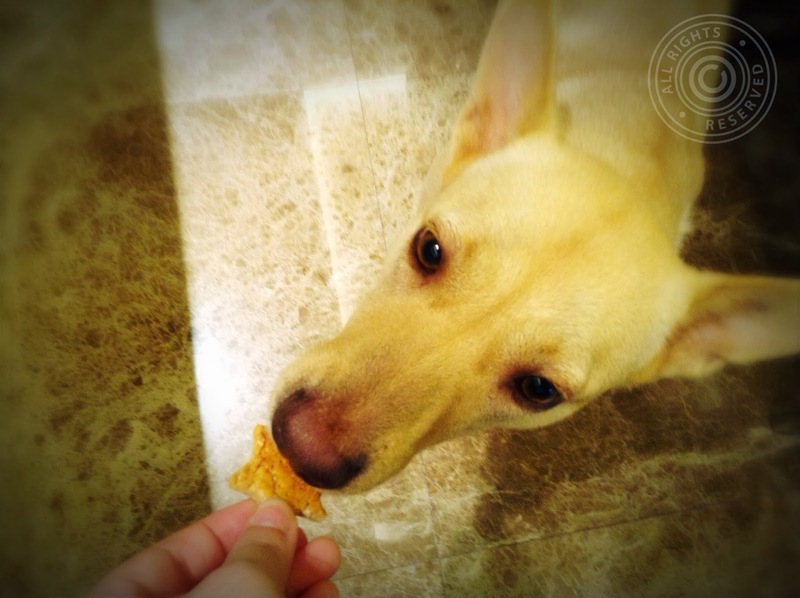 It is a bit tricky to bake for Betty as there are many usual baking ingredients that are unsuitable for dogs. I keep very simple recipes for dogs. She has eaten these cookies many times and absolutely loves them! Yes! She will wag her tail for them. 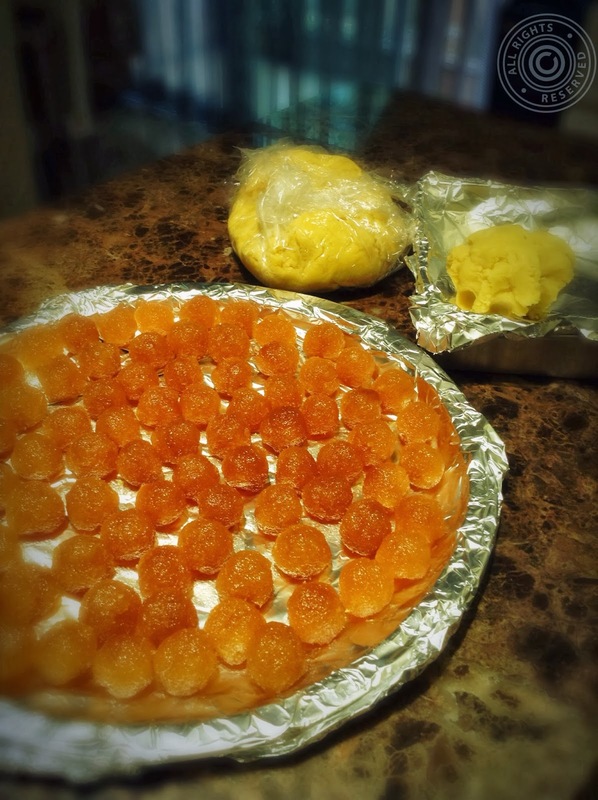 It's my home-made Pineapple Tarts! Yay! They were so well received and were all gone by the second day of CNY! 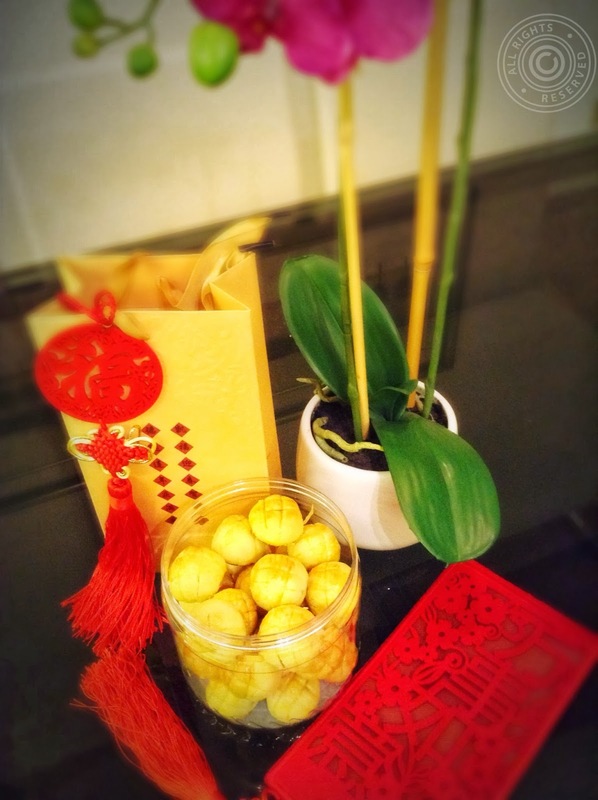 If you know the symbolism of Pineapple Tarts in Singapore & Malaysia, you would understand why this is a must-have Chinese New Year (CNY) goodie in every household. 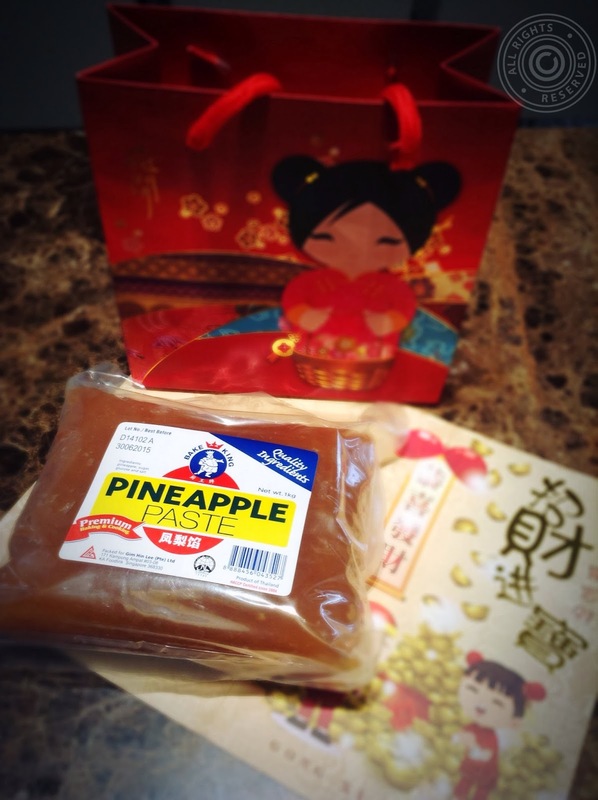 Pineapple is pronounced as "Ong Lai" (旺来) in Chinese dialect. Meaning - Arrival of Fortune & Prosperity. Its significance is salient, especially at the start of a New Year. 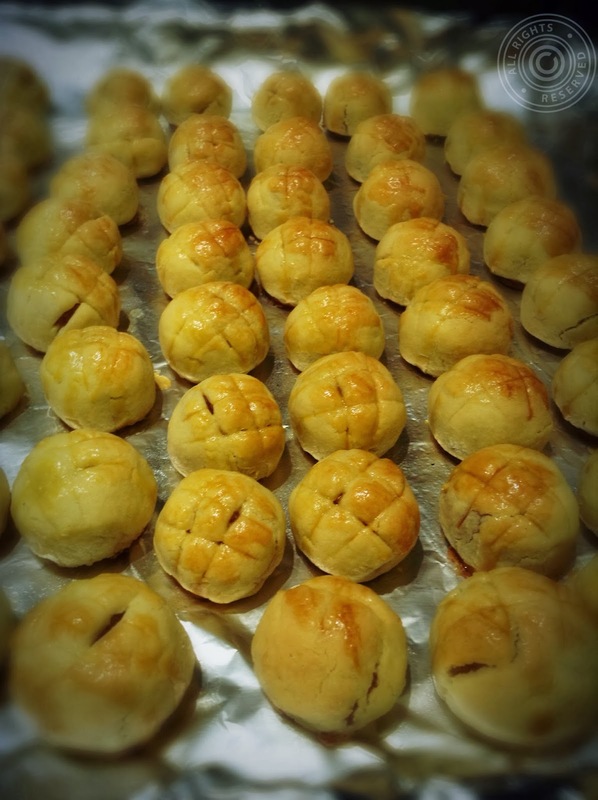 Besides, this mouthwatering pastry is too good to be missed! 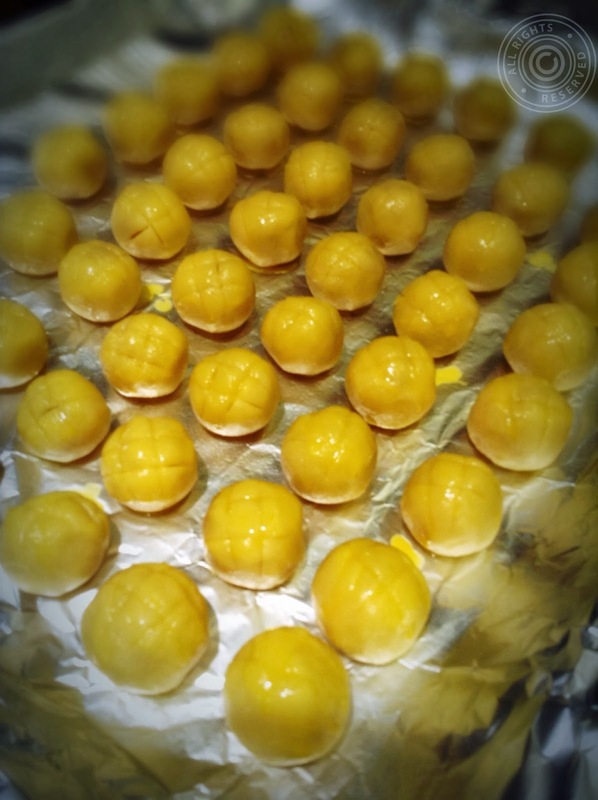 Pineapple Tarts come in many variations and can be purchased anywhere during CNY period. However, my family is generally dissatisfied with the inconsistency in pastry thickness. Most of which, too thick for our likings. To satisfy my husband's appetite (he has a super taster's tongue and can single out every ingredient or spice that has been used! 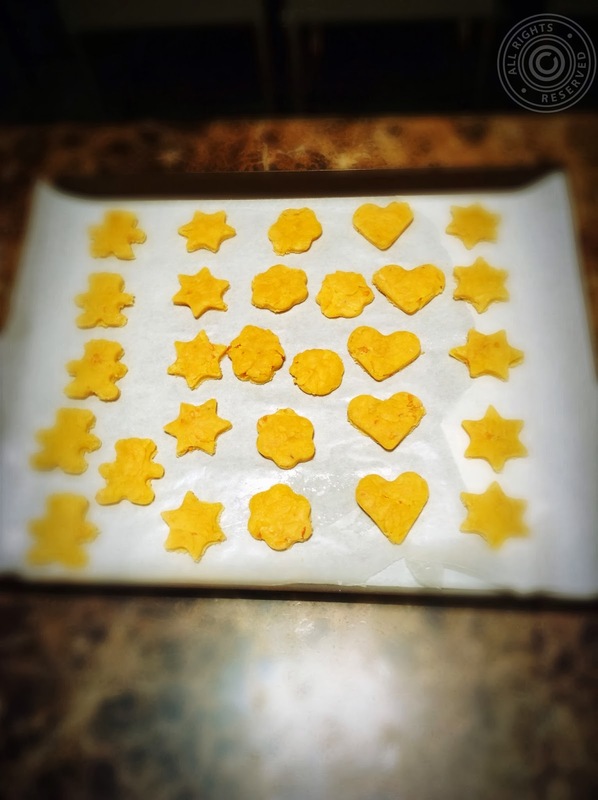 ), I needed to bake my own. This year, I decided to do the 'wrapped' version whereby the pineapple jams/pastes were wrapped around by a thin crust of pastry. This 'wrapped' version allowed me to create a really thin pastry layer! 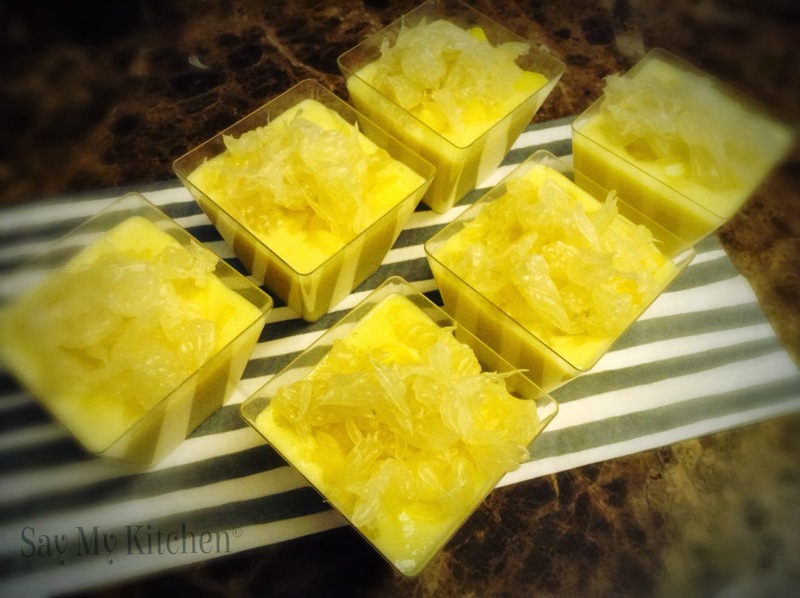 Being a novice home baker, I was not attempting to make my own pineapple tart fillings yet. I like this pineapple paste - readily available in supermarkets. It's neither too sweet nor sour. I used 2 packets of pineapple pastes. They were good enough for about 160 pcs (depending on your preferred size). Bear in mind that I achieved this quantity because my pastries were really thin and pineapple pastes were in very generous portions. Your quantity may vary subject to your preferred thickness and size. 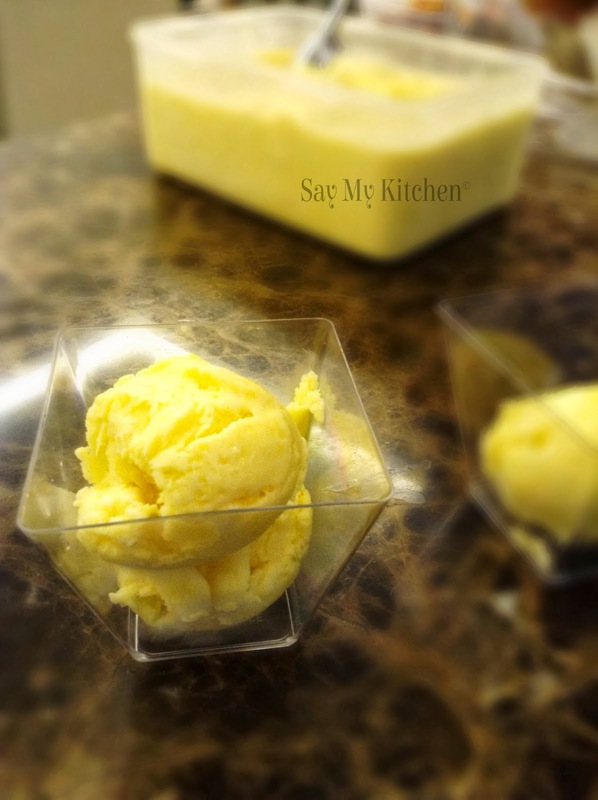 Mix the butter, condensed milk, salt and vanilla flavouring until light and creamy. 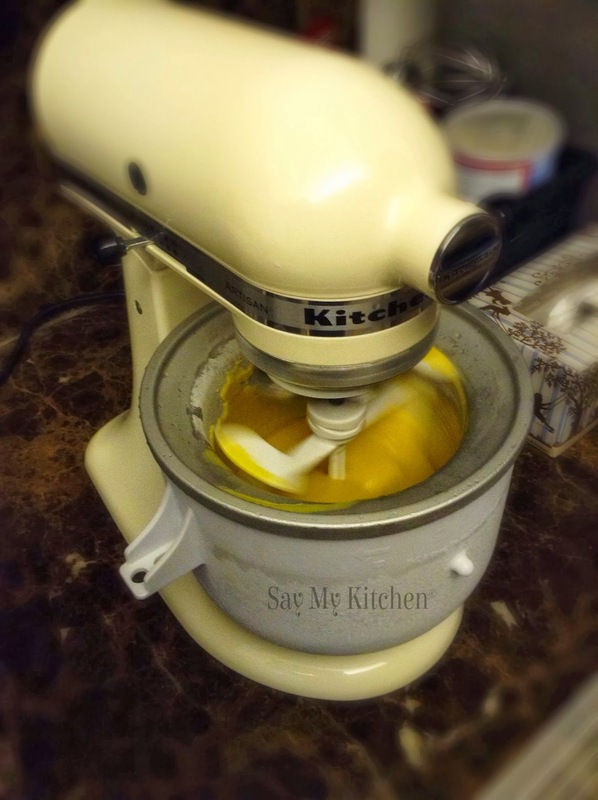 Whisk in egg yolks one at a time. Continue beating till well combined. 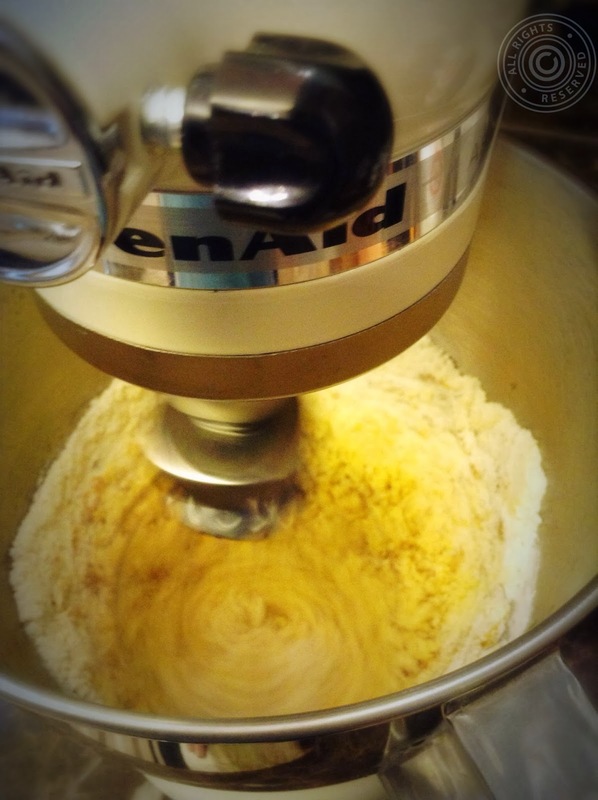 Reduce the mixer speed to low and fold in flour slowly. Beat till dough is well combined and non sticky to your bowl. Cover dough in Cling Wrap and chill in refrigerator for 10 to 15 minutes. Then, flatten small pieces of dough (good enough to wrap the pineapple paste balls that I chilled a day before). 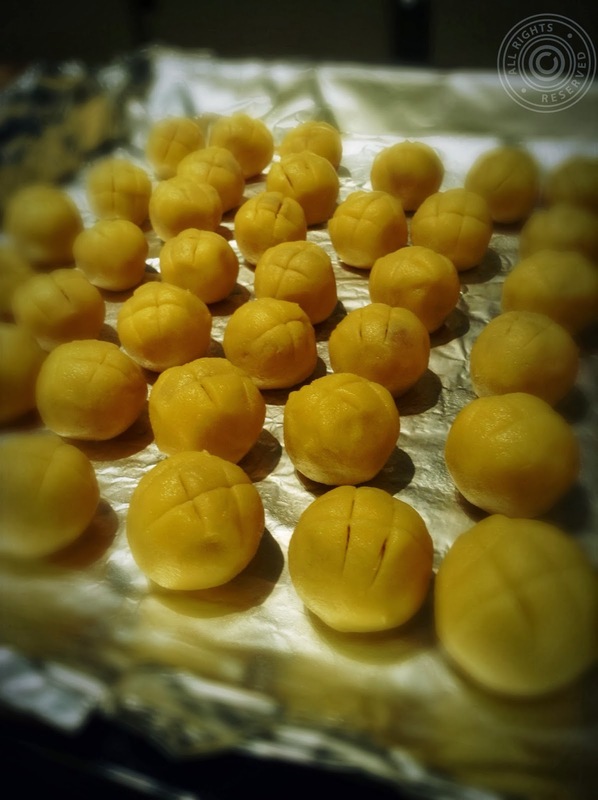 Spread fingers to wrap each pineapple paste ball into a small flatten piece of dough and smoothen the surface with your fingers. It is easier to roll them into round shape using gentle pressure from 2 palms. 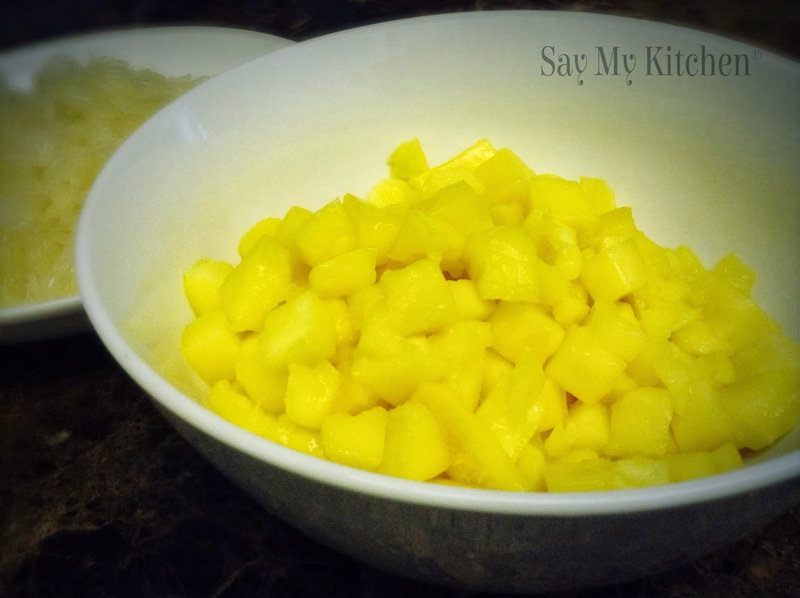 Use a blade/knife to cut lines on the surface to make it look like the texture of a pineapple. Cover dough in cling wrap and store in refrigerator for 10-15 minutes before use. Flatten small pieces of dough, then spread fingers to wrap each pineapple paste ball into them and smoothen the surface. It is easier to roll them into round shape using gentle pressure from 2 palms. Use a blade/knife to cut lines on the surface to make it look like the texture of a pineapple. Brush a layer of beaten egg onto the surface to create the golden brown colour. 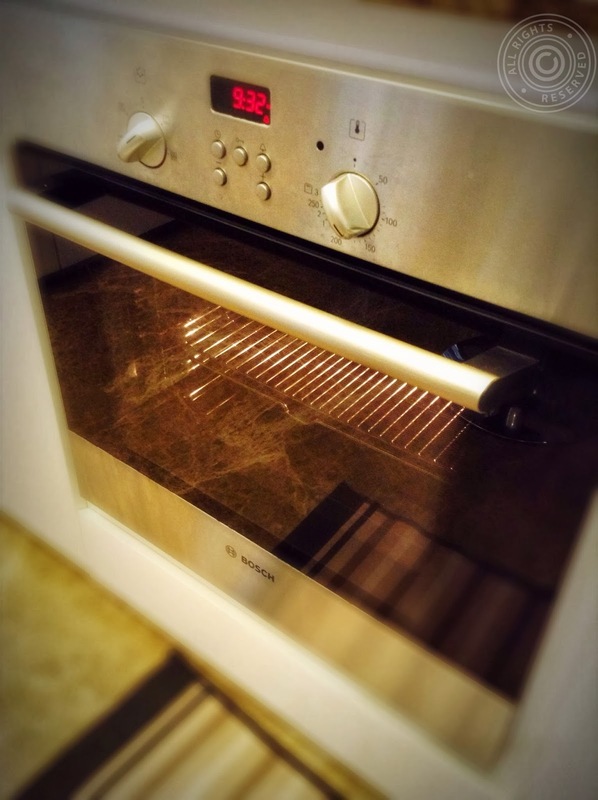 Bake in pre-heated oven (170 degrees celsius) for 22 minutes. Nice golden brown colour! Transfer to cooling tray to cool before storage. 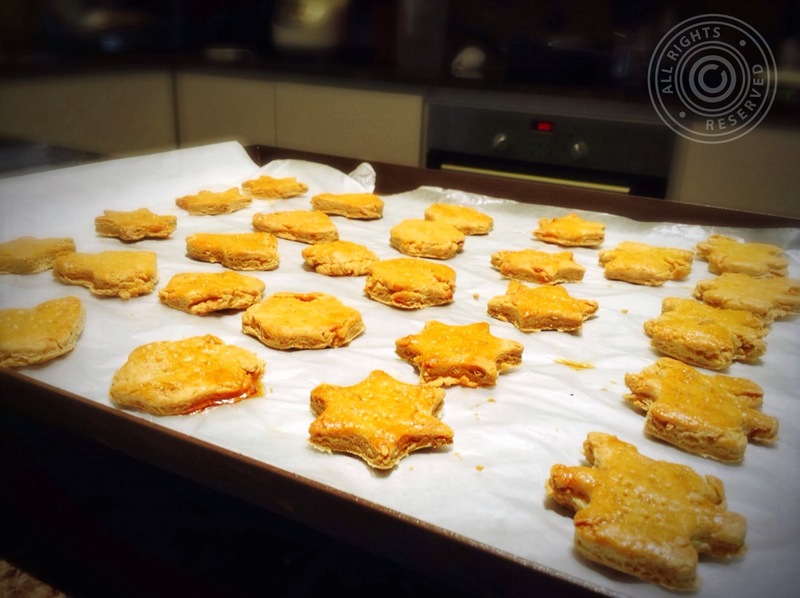 Not only can the final product be served at home, they can also be fantastic festive gifts to relatives and friends. Gong Xi Gong Xi! 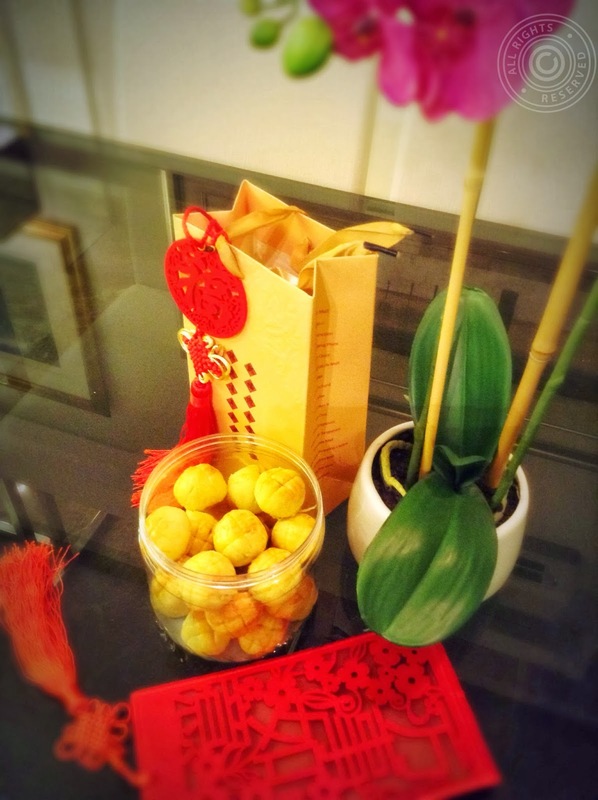 To a year full of good fortunes and prosperity!